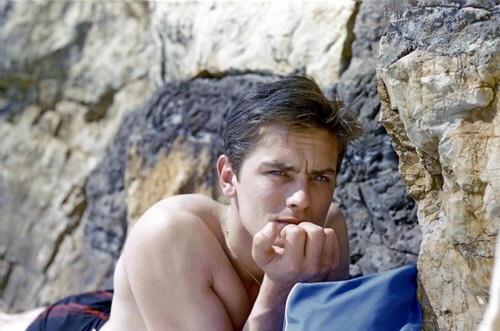 Alain. . Wallpaper and background images in the 알랭 들롱 club tagged: alain delon french actor movie france cinema image. This 알랭 들롱 photo contains 알프스 등산가 and 산악인. There might also be 울퉁불퉁 한 바위, 바위가 많은 곳, and 바위.